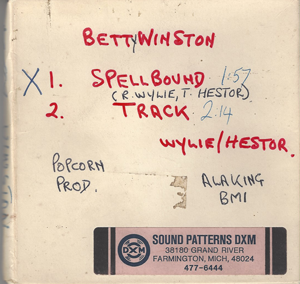 Following Berry Gordy’s buy out of Golden World label Betty continued to record several, at the time unissued songs for Popcorn Wylie. Following a licensing deal between Soul Bowl proprietor John Anderson and Popcorn Wylie these unissued sides would eventually see the light of day through their subsequent release on the Grapevine label of the 1970’s. 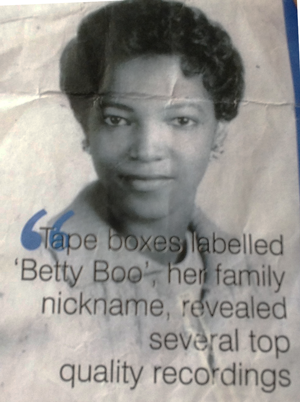 The most popular of Betty’s sides at that time was the perennial favourite “Say It Isn’t So” due to the extensive promotional airplay it was given by influential northern soul Dj’s Richard Searling, Ian Clark and Poke. “Say It isn’t So” Went on to gain 45 single release as well as featuring on the second Grapevine album “The Sound Of The Grapevine” A second song “Spellbound” which too back in the day became a hugely popular spin was to only ever gain a release as an album track on the first Grapevine album “Talk Of The Grapevine” along with Betty’s unissued version of “(Somebody) Stop That Boy”. 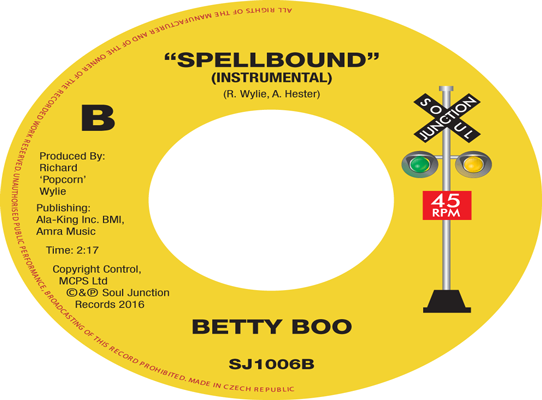 A song that did gain a release by Jimmy (Soul) Clark as the flipside to his northern soul classic “(Come On And Be My) Sweet Darlin” (Soul Hawk 001). 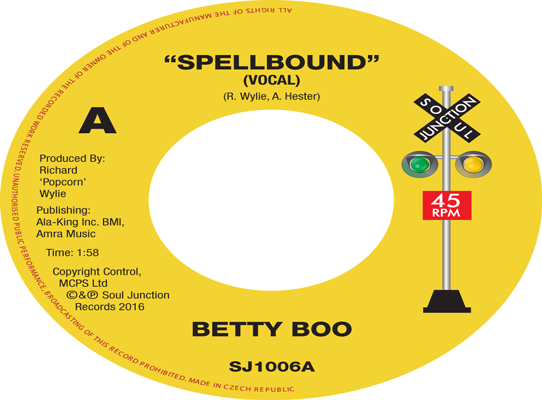 So now nearly 40 years later we at Soul Junction records have rectified this previous over sight and have now finally given Betty’s “Spellbound “ the 45 release it richly deserves complete with the previously unissued (on any format) instrumental version featured on the flipside.